I love vegetable gardening and if you are a long time reader of Caramel & Parsley you will have worked that out already. Much as I love all kinds of flowers, the time I spend in the vegetable patch is a lifelong pleasure. Here are 3 of my favourite gardening articles published recently – the first two have made gardening chores easier and crops more abundant. 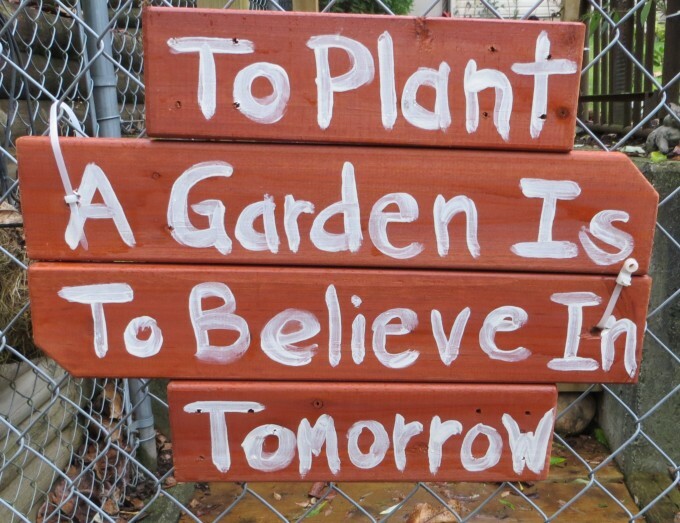 I am hoping the third article will encourage you to start your own vegetable garden. It gives me a profound feeling of inner peace. Ruth Stout wrote the first memorable book on vegetable garden mulching. The mulch was not a part-time activity but simply her way of gardening. She never ever turned her garden mulch over back into the soil, but simply added to it over time. Mulch is a great way to enrich your soil, maintain even soil temperatures and increase your yields. I mulch mostly with home-made compost when I can; hay in spring, summer and winter; and shredded leaves in the fall. These are all readily available. This past year I had surplus leaves for the flower garden and was daily visited by a mid-sized thrush which took up winter residence finding plenty to eat under the moist winter mulch. 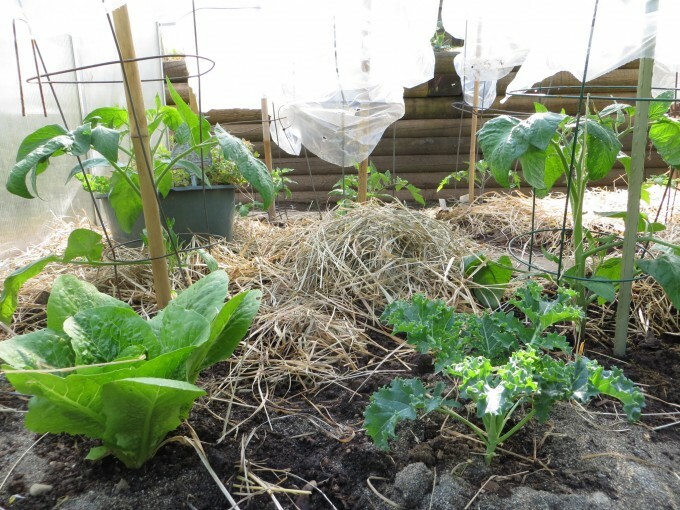 Read the article to find out many other excellent reasons to mulch your veggie garden. global importance as partners in the plant kingdom. This activity is simple and a lot of fun each year. It is interesting to watch bees, other insects and birds visit the pollinator pots I have put throughout the garden. I am planting more herbs in the flower gardens along with wildflowers to attract hummingbirds, bees and butterflies. I find the pots are a great pollinating idea for their ease of care and enjoyment. 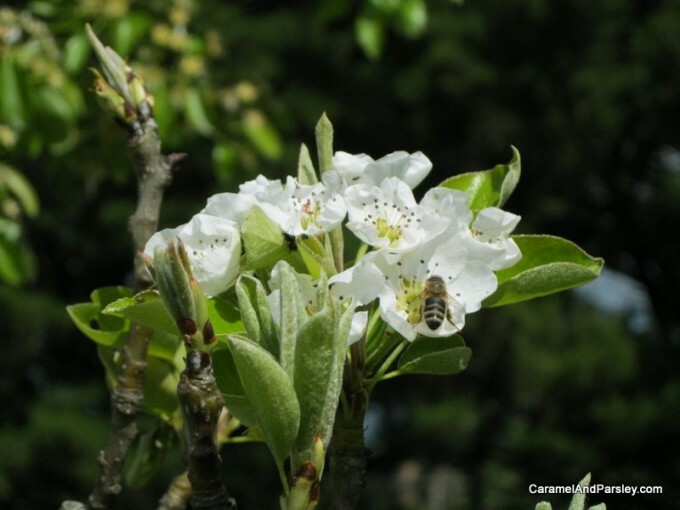 Being portable they are easy to move near fruit trees and berry bushes when in flower to increase pollination. Chives and sage are two of my favourite herbs as they always attract an abundance of insects. 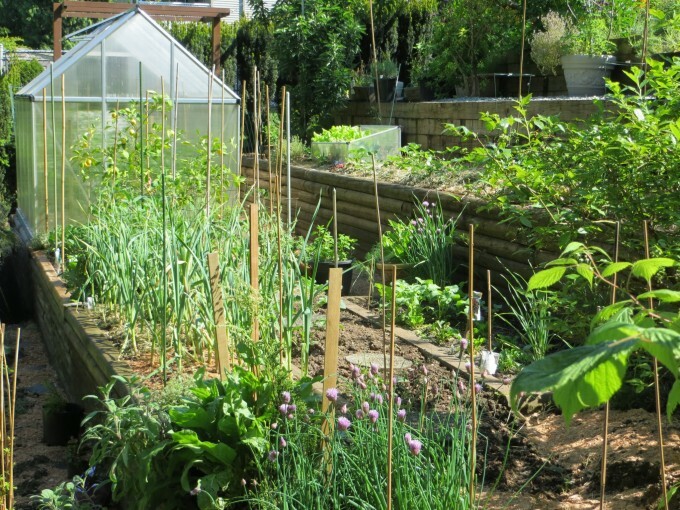 This is one of the most recent, and popular gardening articles with some hopefully thought-provoking reasons to grow your own vegetables. The benefits vary from physical and mental health to enjoying tasty chemical free food and financial savings. Take time to check this out and venture into this pleasurable and worthwhile pastime. Have Fun Gardening with the Grandchildren. One likes to climb trees the other likes to pick strawberries. Visit Caramel & Parsley’s Gardening category for lots more ideas.